Introducing a smart new accessory every musician needs. The RRSP is a revolutionary new concept in portable speaker stands. Deceptively light and sturdy, the RRSP is constructed out of 3/8" plywood and is supported by a lockable, lightweight collapsible riser. 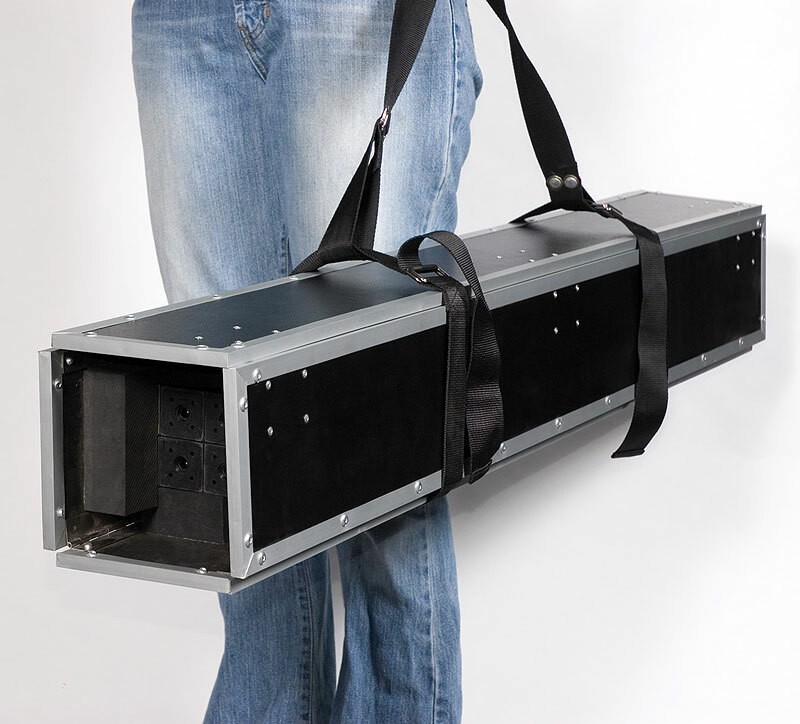 When not in use, the risers stow away neatly inside the rolled up table top and the whole product can then be easily carried on your shoulder with the included shoulder strap. No more lugging around stands! 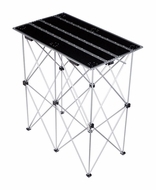 Supports up to 1,100LBS (500KG). 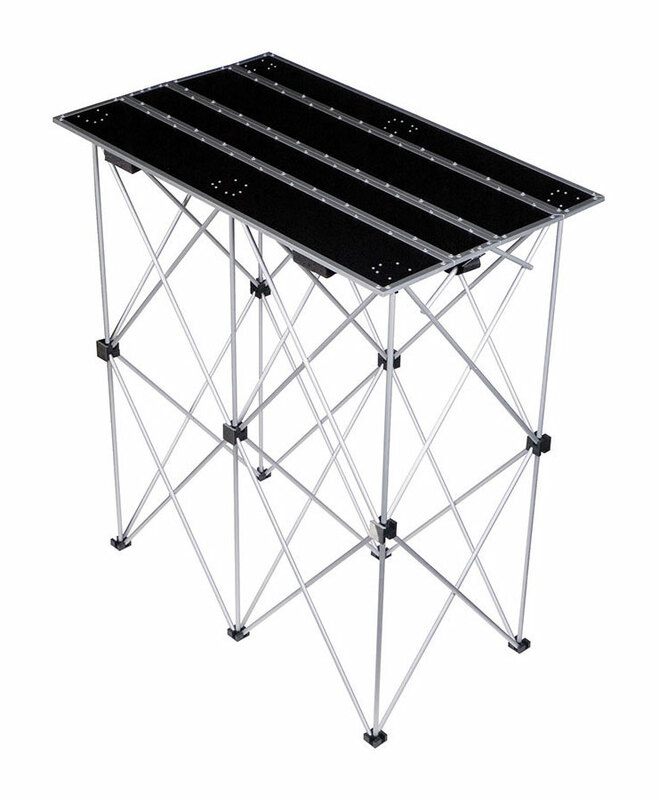 Marathon (MA-DJSTAND36MINI) Mini DJ Fold Out Stand 36"
Marathon (MA-DJSTAND36BLK) Black Series" Mini Universal DJ Stand Fold Out for all Mixer Slant Cases 36"